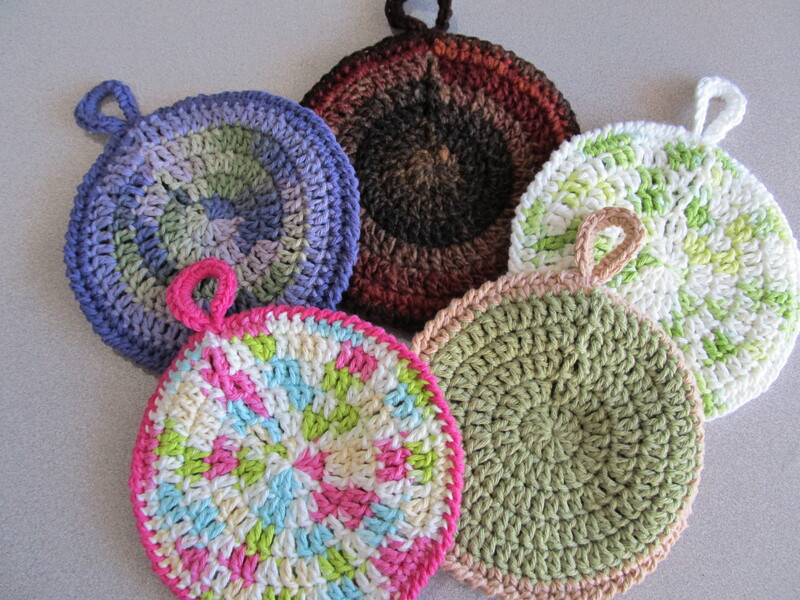 The past couple of days I’ve been working on making potholders. 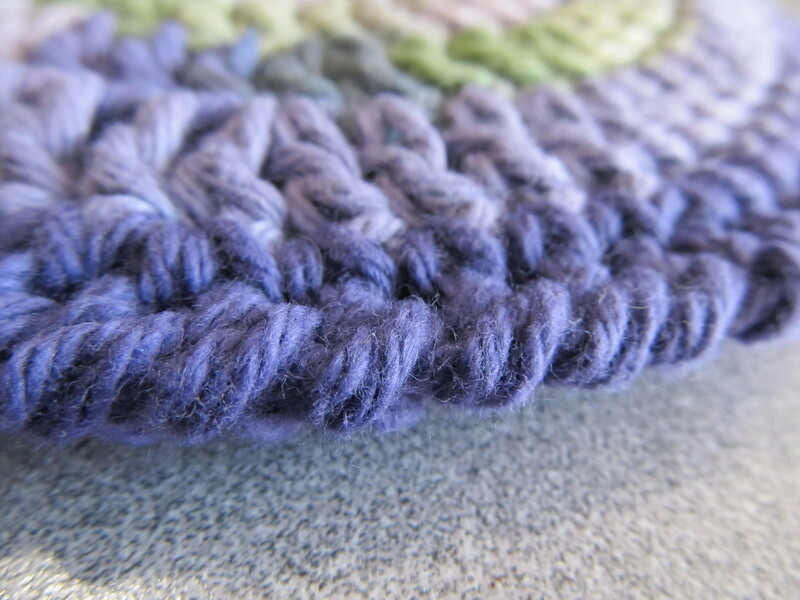 In the past I’ve made them by sewing 2 square dishcloths together or by using a double-thick pattern, like this one, which makes a gorgeous potholder but takes a long time and a lot of yarn. 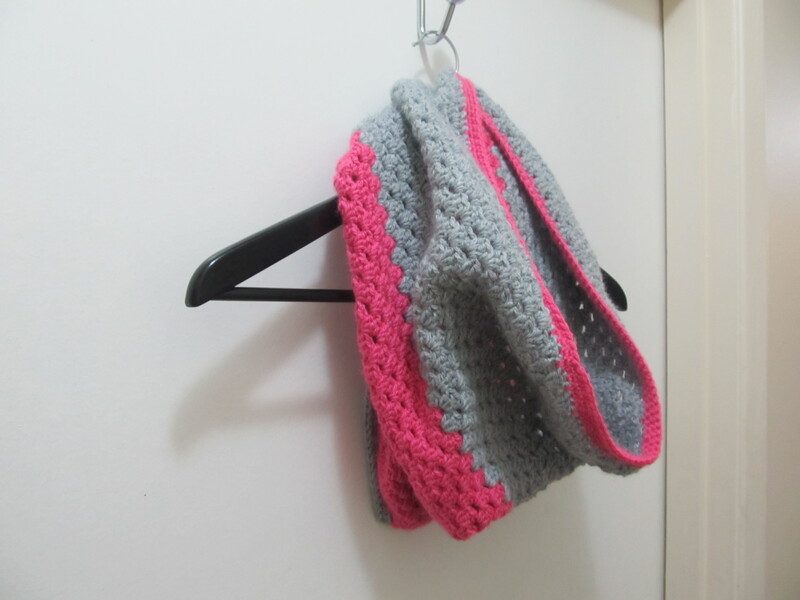 I wanted something quick and easy, I also had a lot of cotton yarn in various lengths and colours so I wanted something that I could change colours easily when my scraps of yarn ran out. 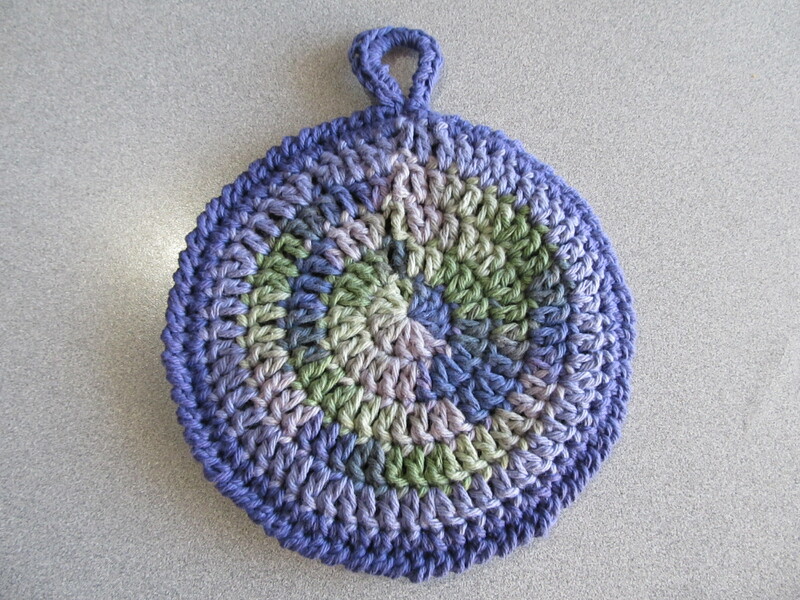 A circular potholder! These work up really quickly, they’ve been taking me under an hour from start to finish. I think they look nice with both variegated and solid colours. I made 4 out of cotton and 1 out of wool. Hooray for busting through my cotton stash! There’s still some left, but this definitely left a dent. 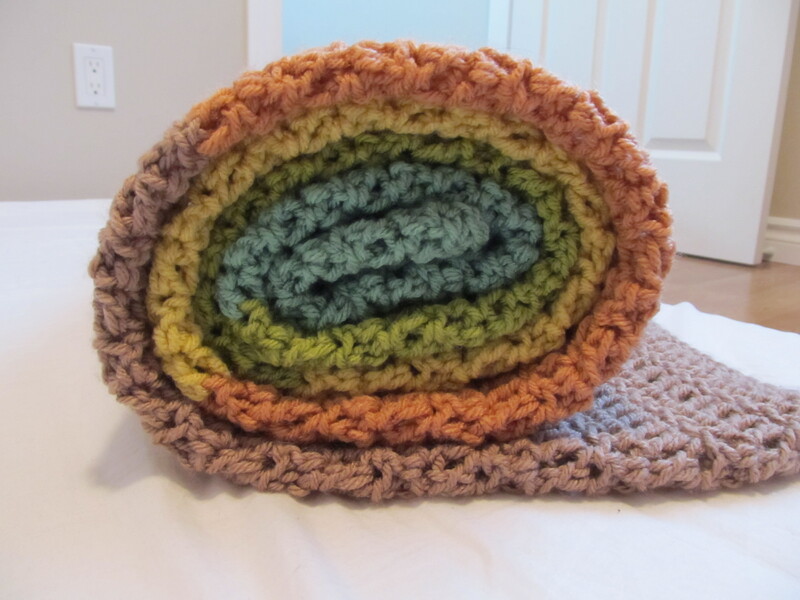 I think I’m going to try making some felted ones with my wool stash. I’m still a little undecided which one I like the most. 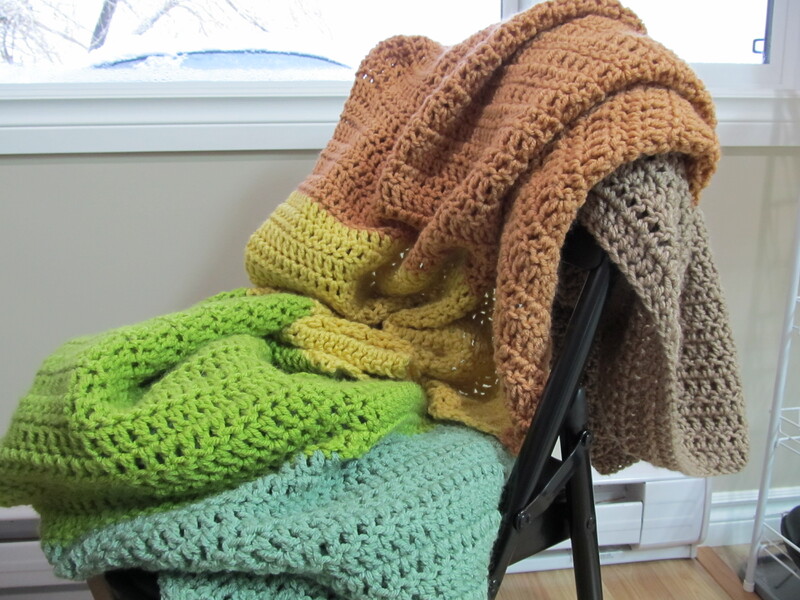 I think the purple/green one is my favourite, but my partner likes the green/beige one. 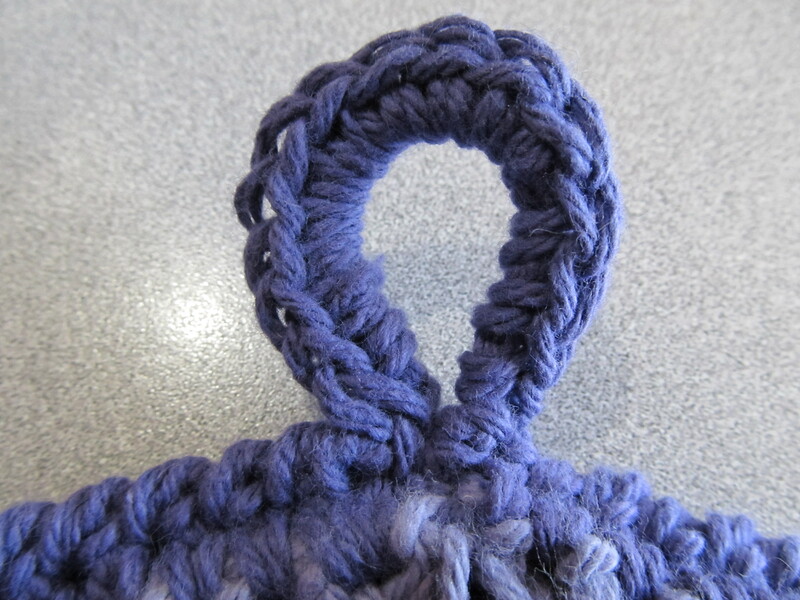 Basically I made 2 circles using double crochet, then joined them together. It’s a pretty straight-forward pattern, but nonetheless I wrote it up to share. – Holding the 2 ‘wrong sides’ together, join the 2 circles together. This project’s been a long time coming. 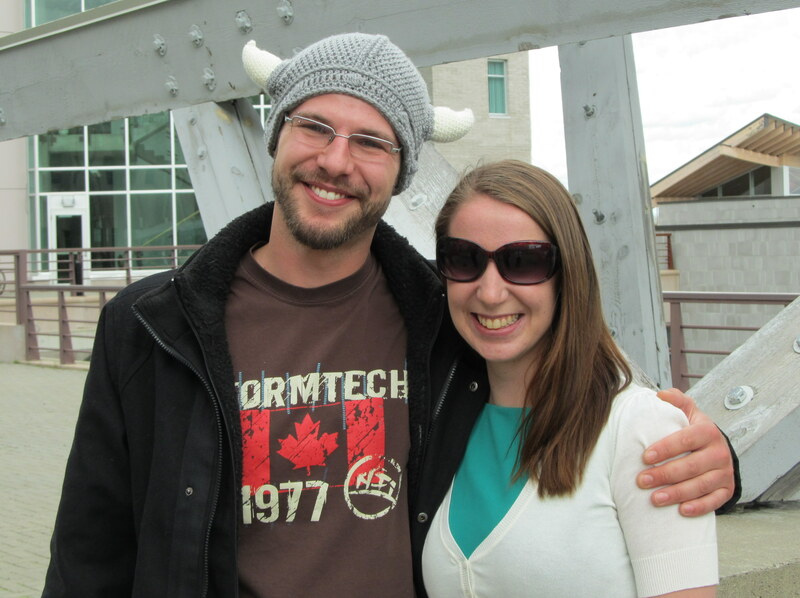 My brother requested a crocheted viking hat last Christmas. 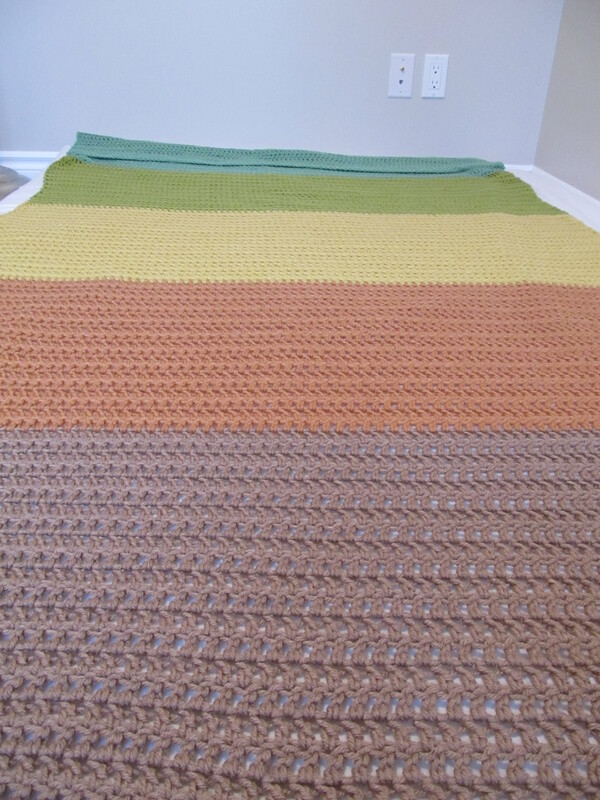 After searching high and low for a free pattern, I finally caved and bought one on Etsy from Mamachee. Tara’s patterns are absolutely beautiful! I ended up buying several of her patterns, they’re all spot on — just make sure you check your gauge! I’ve tried making the viking hat probably 3 times now, and every time it either turns out too large or too small. 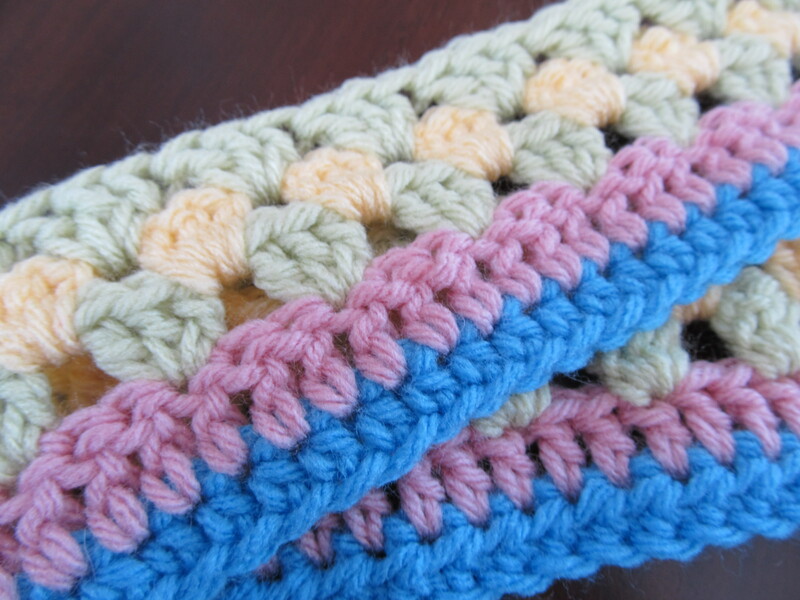 It turns out I really just needed to check my gauge before I start a project, it would have saved me a lot of time if I’d done this before starting the pattern the first time… I think I’ve learned my lesson. He’s requesting a crocheted beard now, but it looks like he’s got one coming in so maybe I don’t need to bother 🙂 I’ll definitely be making a few more of these for my friends/relatives.